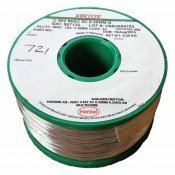 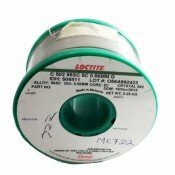 Lead free solder wire. 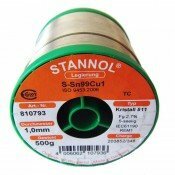 SAC305 (Sn96.5, AG3, Cu0.5), Sn99.3/Cu0.7, SN100C. 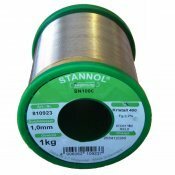 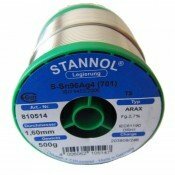 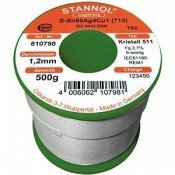 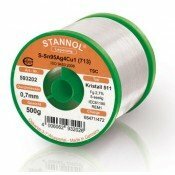 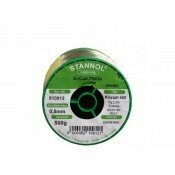 Stannol Solder Wire, Multicore Solder Wire. 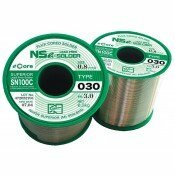 Nihon Superior SN100C 030 Lead Free Solder Wire 0.4mm 500gmEnables fast soldering with less carboniz..
Nihon Superior SN100C 030 Lead Free Solder Wire 0.6mm 500gmEnables fast soldering with less carboniz..
Nihon Superior SN100C 030 Lead Free Solder Wire 0.8mm 500gmEnables fast soldering with less carboniz..
Nihon Superior SN100C 030 Lead Free Solder Wire 1.0mm 500gmEnables fast soldering with less carboniz..
Nihon Superior SN100C 030 Lead Free Solder Wire 1.2mm 500gmEnables fast soldering with less carboniz..
Stannol SN96/AG4 Arax Solder Wire 1.6mm 500gmARAX soldering wire shows good wetting and flow charact..
Stannol Sn99.3/Cu0.7 Crystal 511 Lead Free Solderwire 1.0mm 500gm***6pcs only left at this price***9..
Stannol SAC305 Crystal 511 Lead Free Solder Wire 0.5mm 250gm 96.5% Tin, 3.0% Silver, 0.5% Cop..
Stannol SAC305 Crystal 511 Lead Free Solder Wire 0.7mm 500gm 96.5% Tin, 3.0% Silver, 0.5% Cop..
Stannol SAC305 Crystal 511 Lead Free Solder Wire 1.0mm 500gm 96.5% Tin, 3.0% Silver, 0.5% Cop..
Stannol SAC305 Crystal 511 Lead Free Solder Wire 1.2mm 500gm 96.5% Tin, 3.0% Silver, 0.5% Cop..
Stannol SN100C Crystal 400 Lead Free Solder Wire 0.5mm 500gm Sn-0.7Cu-0.05Ni＋Ge 2.2% Flux..
Stannol SN100C Crystal 400 Lead Free Solder Wire 0.8mm 1kg Sn-0.7Cu-0.05Ni＋Ge 2.2% Flux c..
Stannol SN100C Crystal 400 Lead Free Solder Wire 1.0mm 1kg Sn-0.7Cu-0.05Ni＋Ge 2.2% Flux c..